Traditional shirt of the extra class. Well maintained, sporty and equipped with many attractive details. New design by shirt specialist Orbis Traditional. 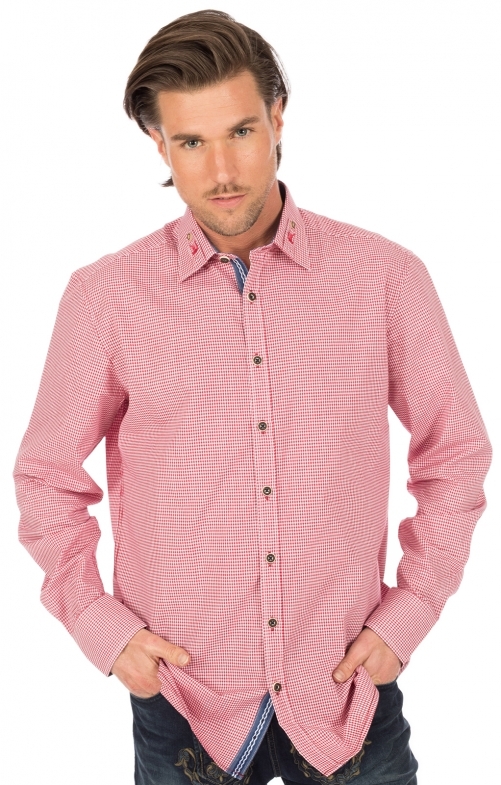 Small Vichy check in classic red and with interesting new processing details like the jeans coloured border along the button placket and on the inner collar or the very natural looking buttons in stag horn optics with which the shirt is easy to close. The collar is adorned with an embroidered little tie at the front and a button at the back.